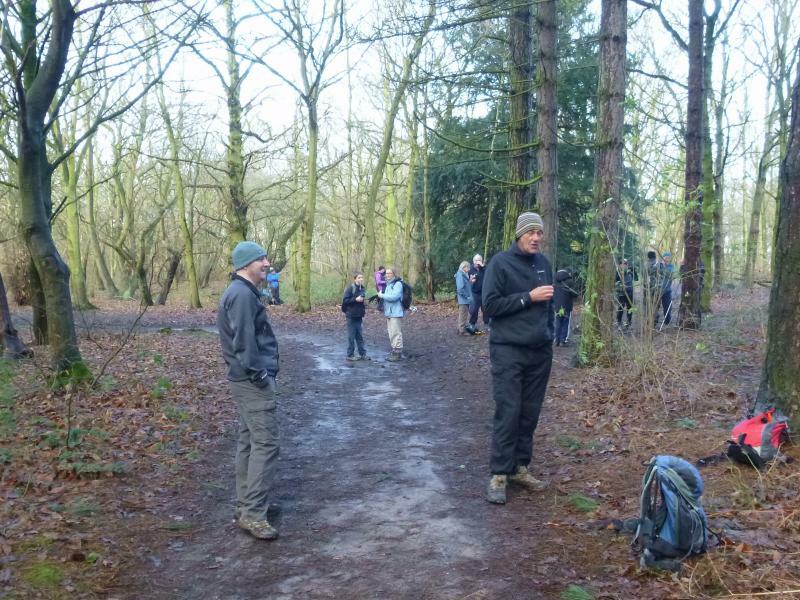 A splendid total of twenty one walkers (eighteen Group members and three very welcome guests including one fourteen year old young man who was walking with us as part of his Duke of Edinburgh Award scheme) turned up for our first social walk of the new year. 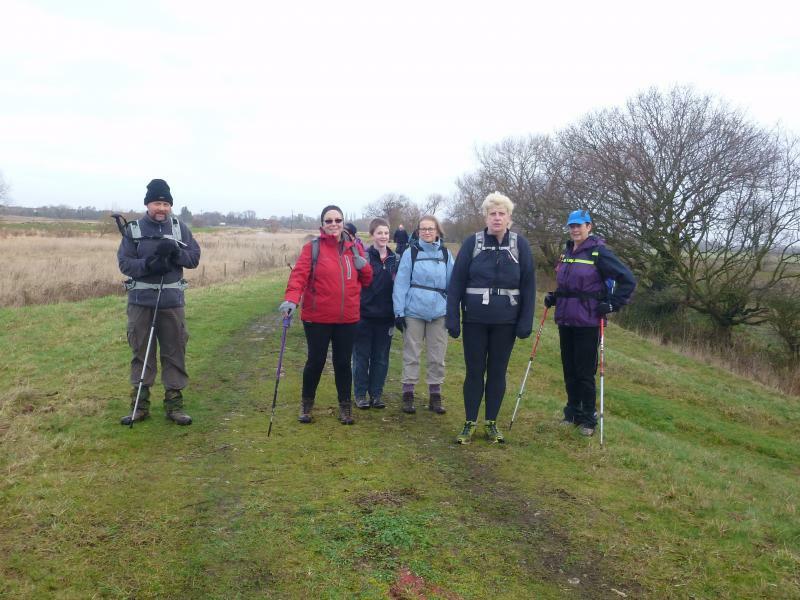 It seems to have become a Group tradition that our January outing takes the form of a modest walk of around twelve miles with a short option of around five miles so that some of our less able but long standing members can participate. This format also enables us to arrange our Group AGM and Annual Dinner at the conclusion of the walk. 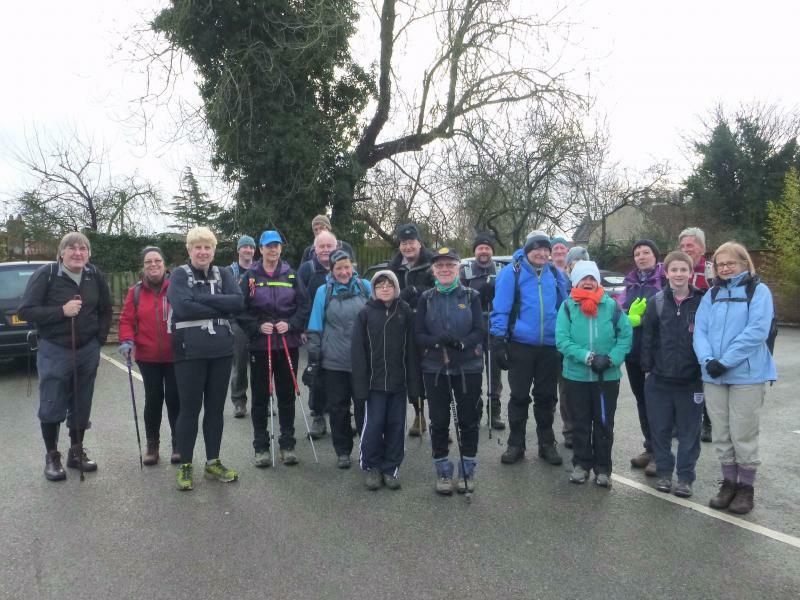 This year was no exception and again we decided to to return to our well tried and popular venue of the Blacksmith's Arms at Everton as the base for our walk. We were blessed with a wonderfully sunny and spring-like morning for our walk and the weather managed to hold out until we were comfortably settled back in the Blacksmith's. Our walk took us through the village of Everton and out over the levels to the banks of the River Idle close to Misson. We then followed the floodbank of the river for a short distance upstream and fortunately for us although the recent heavy rains had caused the river to breach it's banks all the flooded land was across the opposite bank. We then returned to the outskirts of Everton, from where a couple of our party decided to take the shorter option, before looping around to pass through the pleasant woodland of the Barrow Hills where we took our morning break. 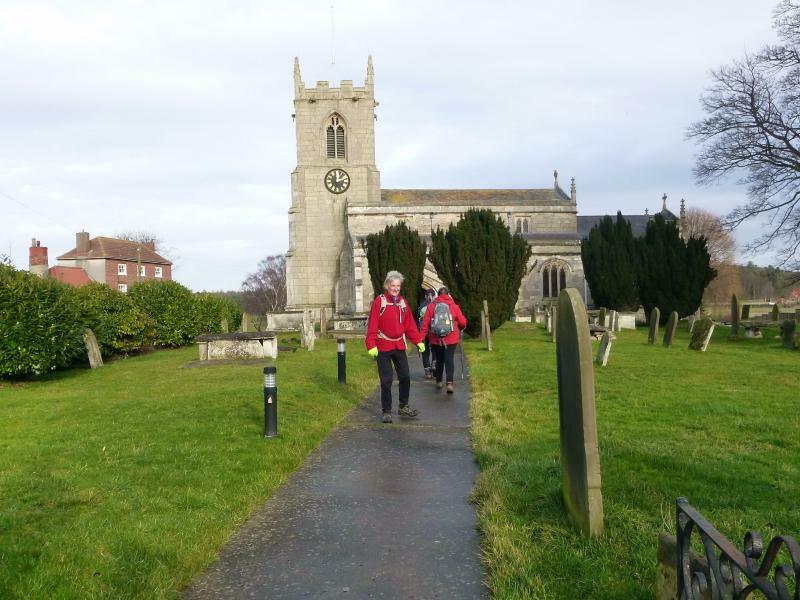 The hamlet of Harwell was our next port of call and from there we followed the bridleways to recross the River Idle and visit the village of Mattersey where some of our party took the opportunity to have a look inside the ancient church. 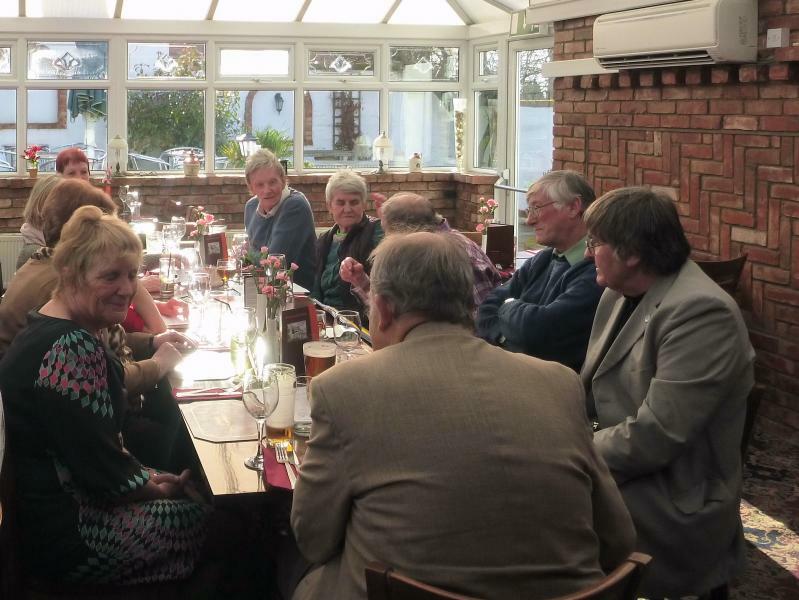 From Mattersey we re-crossed the Idle on the old road bridge and returned to the Blacksmith's in Everton via Pusto Hill Woods in good time to enjoy our AGM and Annual Dinner. Following a brief but informative AGM at which both our Secretary and Treasurer delivered their Annual Reports and at which the Group Committee was re-elected with the addition of Karen Burkill as the editor of our Grapevine news-letter we settled down to enjoy a very tasty and well prepared dinner in the comfortable surroundings of the Blacksmith's restaurant. 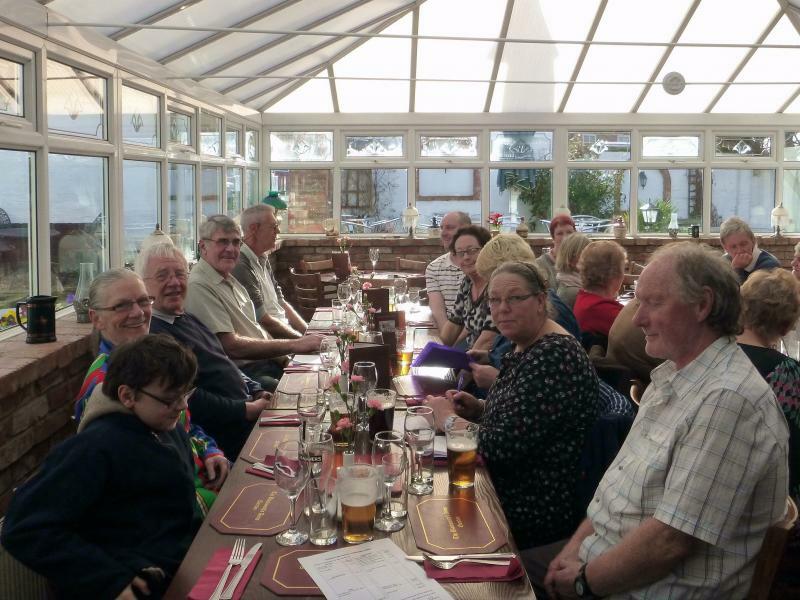 We were delighted to welcome back to the walk, the AGM and the dinner some previously very active and long standing members of the Group including Elizabeth, Sheila, Brenda & John, all of whom for various reasons we had not seen for a while and who we all hope to see much more of in the future. Our thanks go to Chris. and his staff at the Blacksmith's for looking after us so well and providing us with not only a most enjoyable dinner but also with a good variety of well kept cask ales. 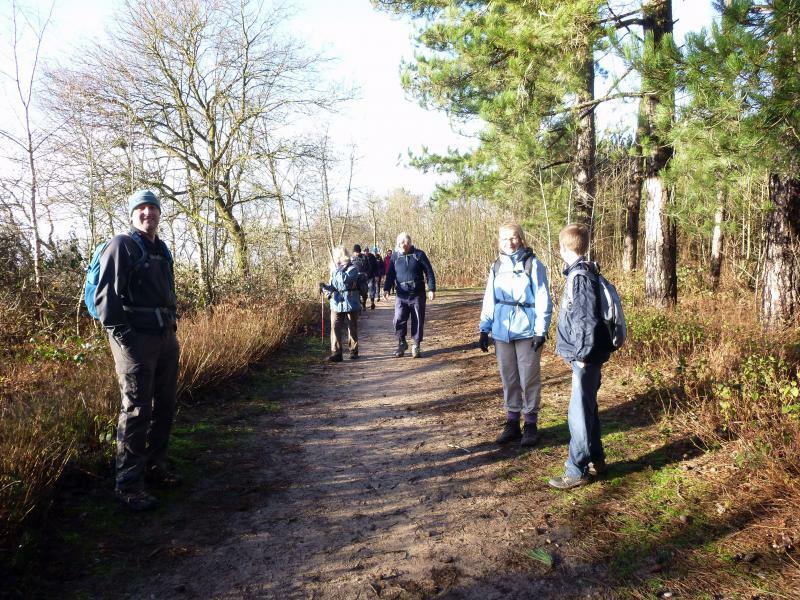 Thanks also to all who turned up on the day for contributing to a smashing walk, wonderful company and the renewal of some old friendships.